In recent years, biometric identification systems and fingerprint recognition systems in particular have been widely adopted by both government as well as private outfits. Governments across the nations have been using this technology for the purposes like civil identity, law enforcement, border control, access control, employee identification, attendance, etc. Business setups have been using it to save time by streamlining various processes like employee identification, physical and logical access control, user authentication, safeguarding cloud communication, etc. Biometric systems have been embraced by organizations of all sizes and shapes regardless their industry type and vertical. Availability of fingerprint sensors in affordable mobile devices and government national ID programs have particularly brought biometrics to common man and have increased awareness as well as acceptance. Biometric systems are also getting more and more inexpensive due to widespread implementation and increasing rate of adoption. Early generations of biometric devices were not as efficient as modern ones. They were bulky, heavy and required supervision during operation. They were also not as fast as current devices, and required calibration for accuracy. PC integration was not available in first generation biometric devices and usage was limited to law enforcement applications. Second generation of biometric devices brought some improvements over first generation but were still expensive and had high FRR and/or FAR. Finger preparation was also required prior to scan as sensors were not as technologically advance as modern sensors. Only optical sensors were available in recognition systems, other sensing methods were either unavailable or under development. For second generation biometric systems, applications were limited to high security computing in vertical applications and building access control. Image: Two different types of modern fingerprint scanners. Left: USB Fingerprint scanner requires a PC or smartphone with supporting application to work. Right: Commonly used for access control, can scan and store many templates and transactions independently, can connect to a PC or network to communicate and export biometric data. Current generation of biometric systems are available with sensors leveraging different techniques like capacitance, thermal, etc. to read fingerprints. 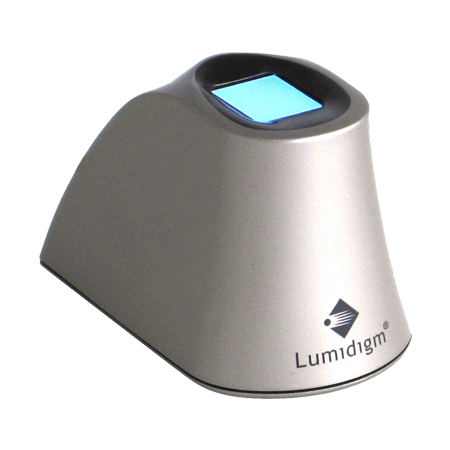 They come with ability to detect liveness and do not require manual calibration. 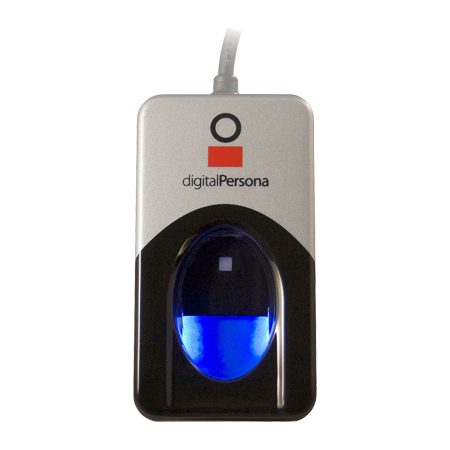 Current biometric recognition systems are considerably faster than earlier generations. They have SDKs available for PCs and come with encryption support. Mass production induced by increasing adoption rate has not only slashed prices of biometric systems, but also encouraged their usage in mainstream identification and authentication methods. Now billions of people use biometric identification and authentication in some or other way on a daily basis. From unlocking doors or unlocking phones, biometrics is always at work. Mass production cuts down prices, and that is what exactly happening with biometric recognition systems right now. Increasing numbers of implementation made mass production of biometric systems imperative and slashed prices. A biometric system’s price may depend on factors like brand, certifications, waterproofing, type of sensor, etc. A small USB fingerprint scanner can cost as little as $50 and a sophisticated ten finger scanner with live finger detection ability can cost $2500 as well. Increasing production and completion are expected to lower the prices further. Average selling price of global mobile fingerprint sensor volumes is estimated to be dropped to $2 per unit in 2020 which was as high as $5.5 in 2014. Increasing adoption has helped bring down cost of biometric devices. Factors like economy of scale, increasing production and electronic components getting cheaper, have helped biometric systems to become affordable for small business and even for individual applications. Slashing prices are particularly evident in case of fingerprint scanners. Earlier, only high end or flagship mobile phones were equipped with fingerprint sensors, but now even a $100 smartphone offer a capacitive fingerprint sensor. Fingerprint recognition systems, which were earlier used only in high security facilities or restricted areas, are now commonly seen everywhere. Let it be office doors, server rooms, schools, banks, POS, etc., fingerprint scanners have made their way to everyday life. Due to mass production, building blocks of biometric systems are getting cheaper and new entrants are offering very competitive prices. Technological enhancements and introduction of new hardware also slash prices of previous iterations. There are various elements to consider before choosing any modality to employ for a biometric application. Level of security required, cost of the biometric system, return on investment, etc., are some of the elements that may become deciding factor in employing a biometric recognition method. Different biometric recognition methods offer different set of features, advantages and disadvantages. Cost is also an important factor to consider while choosing a biometric recognition system. For high security applications, multi-factor authentication or multi-modal biometric implementation can be considered, while low security applications can be implemented with single biometric modality. Multi-modal biometric applications may hike up the investment required multi-fold, so there has to be a balance of everything and a thorough return on investment study may be required before taking up multi-modal biometric recognition. Fingerprinting is the most popular modality among all biometric recognition methods. Being inexpensive, easy to implement and use, it has most penetration in authentication and access control applications as well as consumer electronics like mobile phones and portable devices. 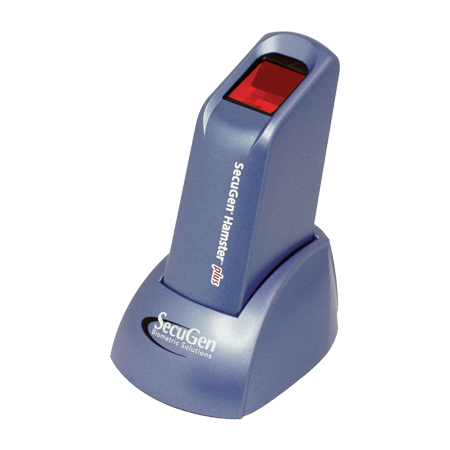 Fingerprint scanners make use of sensors to scan a pattern. These sensors come equipped with different techniques to read and produce image of the fingerprint pattern. 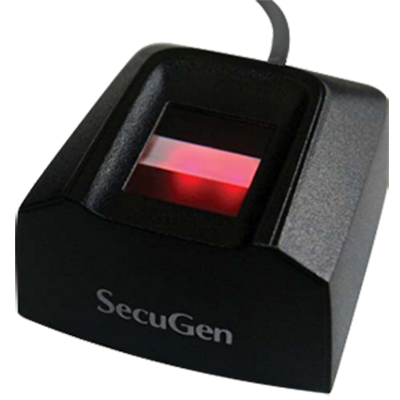 Cost of a fingerprint recognition system can be highly dependent on the sensor type used in the device. Use of fingerprint scanners rose steeply during 2010s. Consumer electronics, specially mobile phones and tablets made extensive use of fingerprint sensors. Both, businesses and governments have recognized potential of biometric recognition systems and are leveraging them for various identification and authentication purposes. With successful adoption at various fronts like access control, civil identification, border control, law enforcement, etc. it can be said that biometrics is rapidly growing and has good prospects for the future. Global adoption and successful implementation across industries have showed that biometrics is the way forward. 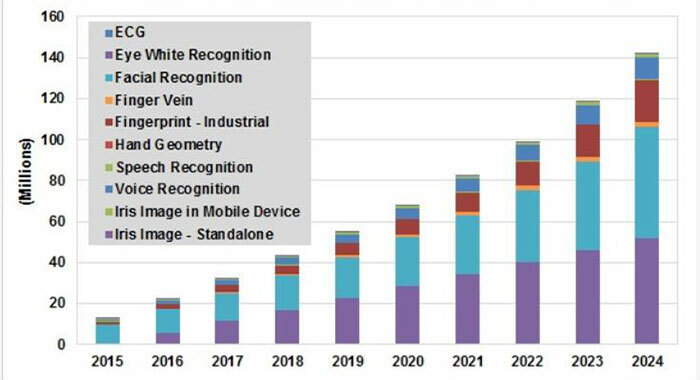 Market intelligence companies also predict exponential growth of biometric recognition in the future. Newer trends like cloud biometrics is set to take the biometric affordability to the next level. According to an estimate by Frost and Sullivan, market revenue for fingerprint authentication on mobile devices is to increase from US$52.6 million in 2013 to US$396 million in 2019. Authentication with BaaS on mobile devices can safeguard crucial operations like banking transaction, authorization of payments, e-commerce transaction, etc. In banks, scalability is an important aspect to take care of. Launch of new branches, installation of ATMs, etc. are a part of on-going banking operations. Biometrics as a cloud service can benefit scalability intensive industries. New ATM with biometric capabilities will not only be securer than traditional card and PIN based authentication, but also be easy to deploy with cloud biometrics. Biometrics have proved to be more efficient, faster and securer than traditional identification practices like ID cards, access cards, PINs and passwords, which are either possession based or knowledge based authentication factors. Biometrics, being an inherence based factor, eliminates possibility to forget or share passwords and loss or theft of ID/access cards. Implementing multi-modal biometrics or multi-factor authentication with biometrics as one of the essential factors provides even greater security, which is a common requirement in high security facilities like military setups, data centers, nuclear reactors, R&D facilities, etc. Growing adoption of biometric recognition systems across all industries and sectors in verity of applications has paved the way to a huge commercial market for devices and solutions. Modern biometric systems have ability to connect to information systems and the network. They can share data with a remote server with centralize biometric database over the internet. This ability makes biometrics to be offered as a service over the internet. Huge success and adoption of biometric devices has induced mass production and these devices. Once expected only in high security facilities, biometric recognition systems have reached in the pocket of common population. Today, biometric recognition systems have come to the price point, where small businesses and even individuals can easily afford them for office/home security, attendance, employee/customer identification, membership management, point of sale, etc.